I love the holiday season! There are so many great shows on TV that focus on giving back and celebrating everything we hold dear as humans. Freeform understands this and celebrates everyday people by treating them to amazing things. 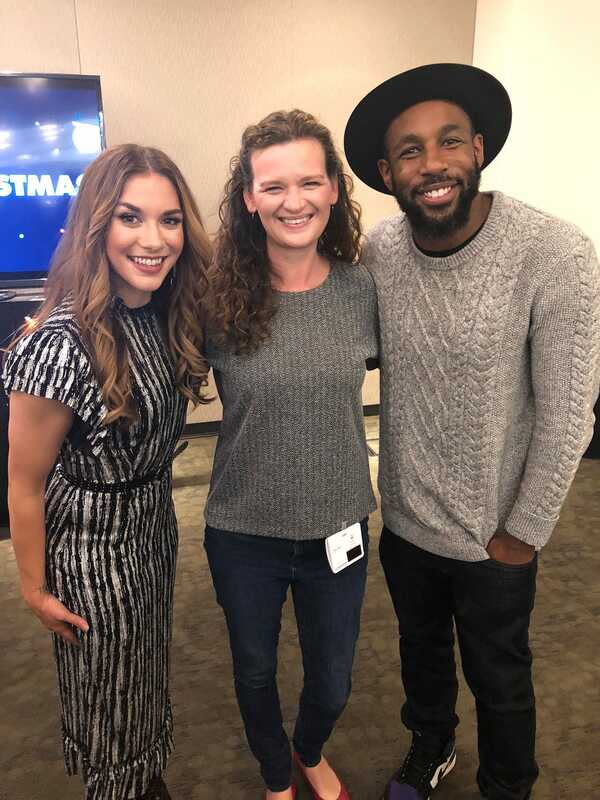 This year is no exception and two of my favorite hosts, Stephen “tWitch” Boss and Allison Holker, are back hosting two amazing specials on Freeform as part of the 25 Days of Christmas. A huge thank you to Disney for flying me to LA for this press event! Last week I was able to sit down with them to learn more about these holiday specials as part of a press event. It was incredibly easy to talk to the couple and their enthusiasm for their projects was contagious. tWitch and Allison are the perfect couple to host these holiday specials because they LOVE the holidays. When we chatted with them they told us about how much they loved taking family photos for their holiday cards. They have a tradition of not taking the “typical” holiday photo for their cards, they like to give it their special touch. Last year they each dressed up as a character from the Grinch. This year they are going to be a blow-up gingerbread man and a blow-up snowman while their kids will be Santa and a reindeer. They were so excited about it and I hope we all get to see the end product. They love to do fun things like this with their kids. Last year they also made some fun “ugly” Christmas sweaters with their kids for the holiday. Pop-Up Santa is such a fun project to be a part of, but it was especially important to Allison. During the special, they were able to host a very special baby shower at an Army base. Allison’s brother is actually stationed there so it was very personal to her. The mothers and mothers-to-be thought they were there to film a documentary about being a military family so the baby shower was a complete surprise. 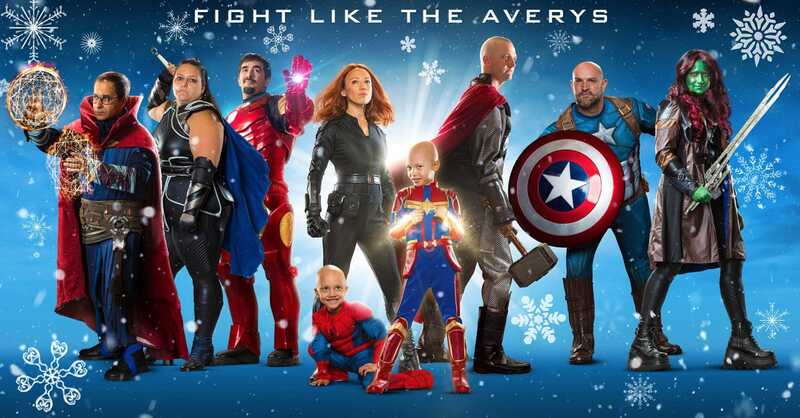 I was moved to tears when I watched it when it aired a couple of days ago. You are going to want to bring tissues when you see it! Freeform’s “Pop Up Santa Holiday Special” has teamed up with sponsors to celebrate the spirit of the season this year. Some of the things you’ll see on the 90-minute special include a house giveaway, a family reunion you won’t believe, a Marvel celebration at Children’s Hospital Los Angeles, and a surprise baby shower for some deserving families. and a very special Marvel guest! The “Pop-Up Santa Holiday Special” originally aired on Freeform on Monday, December 3rd but it’s running all December long and is available on demand! So check your local listings and be sure you sit down with your family to watch! 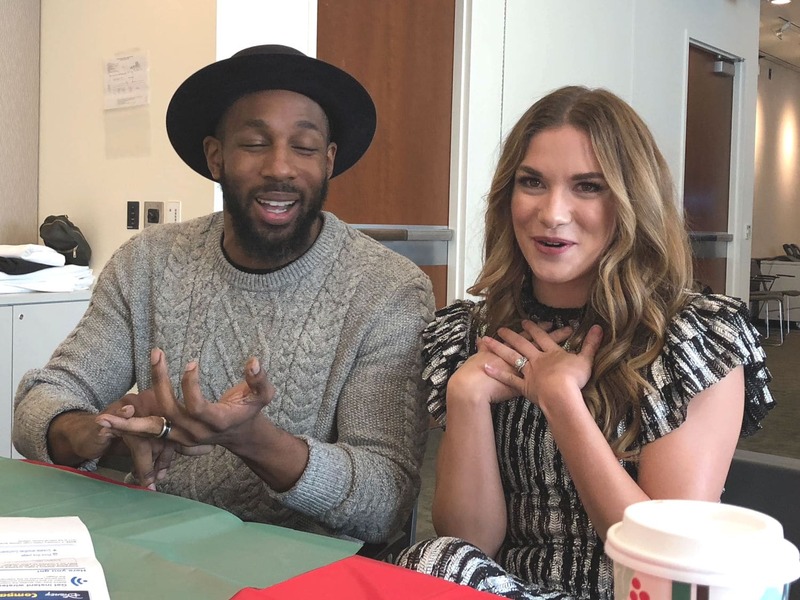 In addition to the “Pop Up Santa” special, Stephen “tWitch” Boss and Allison Holker are also hosting a brand new installment of “Disney’s Fairy Tale Weddings: Holiday Magic”. 5 years ago iWitch and Allison had their dream wedding and they told us that they are very excited to help other couples have an extraordinary wedding too! They said that throughout the special they really get to know the couples and have some emotional moments during filming. 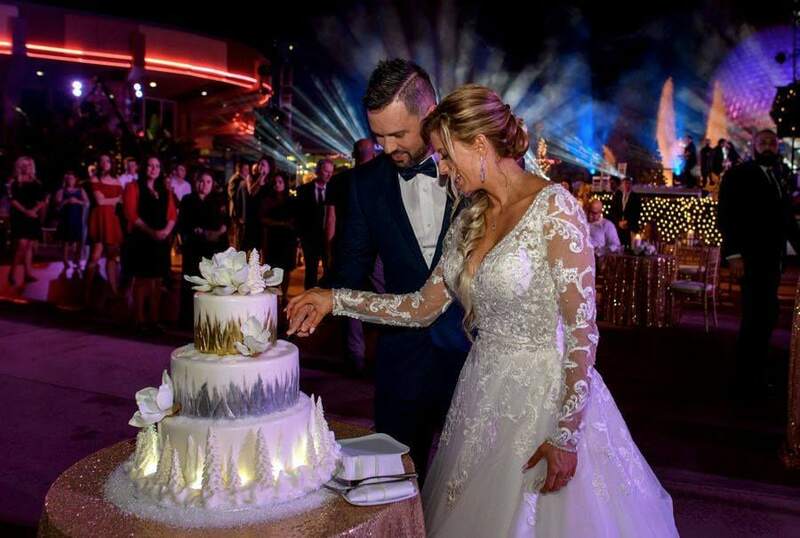 Disney always goes all out for their fairytale weddings and this holiday special is no different. Allison told us that one of the brides loved pink so Disney lit up the entire castle in pink just for her! It is those little touches that make the Disney magic so amazing. tWitch also talked about Disney magic and even pulled out his phone to show us a little video of his son meeting Mickey Mouse for the very first time. I almost teared up, both at the video and also because of how much of a special moment it was for mom and dad! This year “Disney’s Fairy Tale Weddings: Holiday Magic” is going to feature an incredible Mary Poppins Returns theme, an appearance by Lin-Manuel Miranda and a performance by music superstar Martina McBride so be sure to set your DVRs and get ready for a Disney magic wedding! “Disney’s Fairy Tale Weddings: Holiday Magic” premieres on Freeform on Saturday, December 8th at 8:00 pm ET. The special will also be available streaming and on demand! I hope you tune in to see Allison and tWitch and all the extra special people who are making this holiday season one to remember on Freeform!